This impressive Hampstead dining table is perfect for feasts with friends and family. 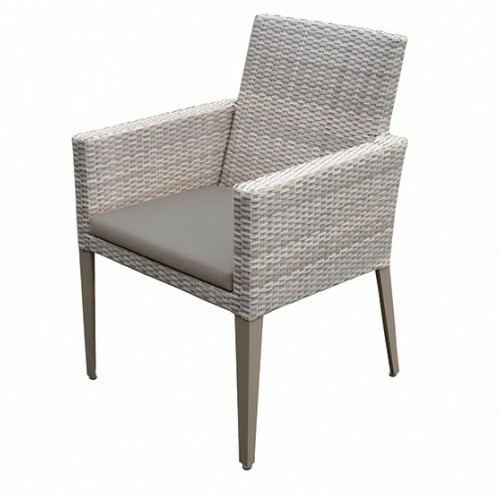 The impeccable design and exceptional construction using powder coated aluminium, all weather rattan and high pressure laminate (HPL), makes for a robust and elegant piece that is totally weatherproof. 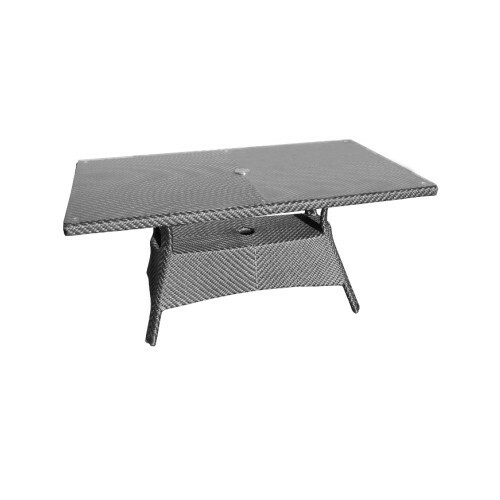 This table will fit favourably into your lifestyle with great features suited for outdoor use, comfortably seating up to 12 guests. 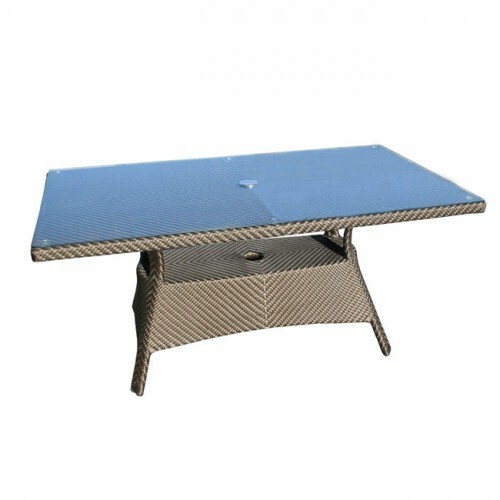 The tapered legs are adjustable so that the table will sit firmly upon uneven ground, and the tabletop is fitted with a hole and plug for a parasol. 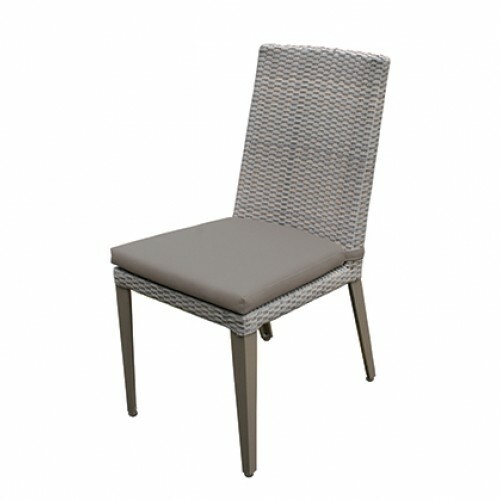 The stone-grey rattan weave ties the contemporary look together and complements other items in the Hampstead collection. 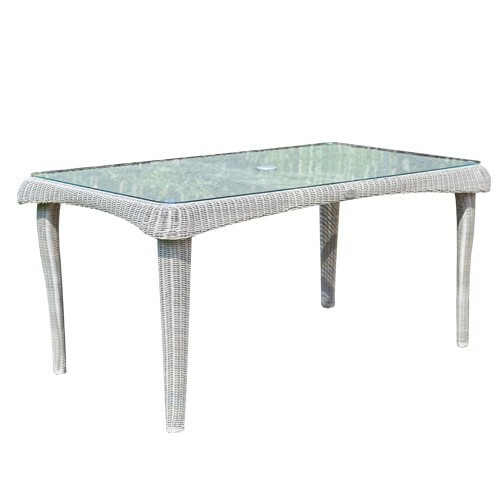 This rectangular table comfortably accommodates between eight and fourteen chairs and is ideal for hosting in the garden or conservatory. At Bridgman we pride ourselves on the quality of our products. 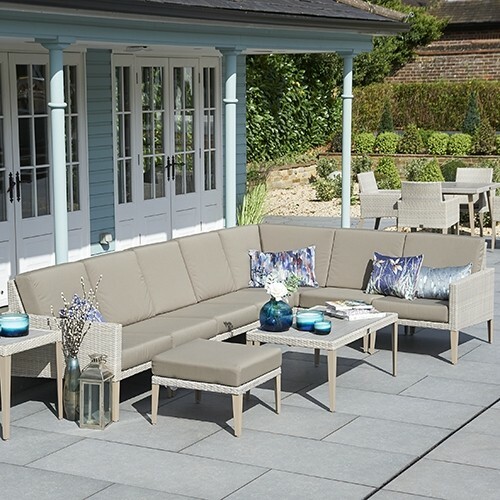 We are aware that consumers are comprehensively covered by statutory rights, but for extra peace of mind we offer our customers a 30 Day Money Back Guarantee on Bridgman All Seasons furniture - no hassle and no questions asked. If you are not 100% happy with your purchase or no longer want it, simply return it in its original condition within 30 days of delivery for a full refund.